Aston Merrygold said he is “gutted” about his Strictly elimination but is focusing on his next adventure – fatherhood. The former JLS star was booted off the dancefloor during Sunday night’s results show. 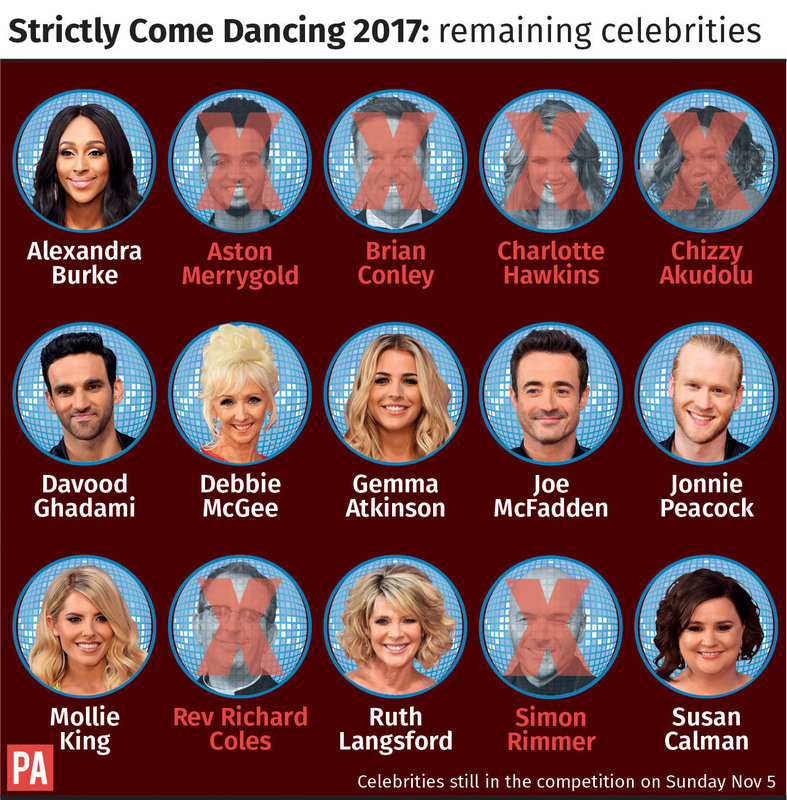 His elimination came as a huge surprise as Merrygold was thought to be a favourite for the Glitterball trophy. He posted a clip from the show on Instagram after his elimination, saying: “Ok so lemme do this properly!! Ok so lemme do this properly!! @bbcstrictly thank you so much for letting me be apart of such a great year I've made some amazing new homies!! Class of 17 you are all f***ing brilliant can't wait for our catch up night out.. good luck to you all!! Every single person that commented, posted, voted every week thank you so much for the love and chance to do what I love to do most.. ENTERTAIN!! All you strictly pros.. you are all ridiculously talented and I've loved watching and learning from you all. But the biggest shout out and thank you to my dance partner @jmanrara also known as the Latin sensation! (As seen in the video) You have made this whole experience perfect! From AMAZING routines every week, to fun and help in rehearsals, to being a great friend from it take 2 to chill time with team45! Guys life is great I'm gutted obviously but… I'm not sad that it's over, I'm happy that it got to happen! ????????? next stop and adventure being a daddy ????? oh and some music n tours n shiiiiiiiet.. But daddy first ha! “@bbcstrictly thank you so much for letting me be apart of such a great year I’ve made some amazing new homies!! “Class of 17 you are all f***ing brilliant can’t wait for our catch up night out.. good luck to you all!! “Every single person that commented, posted, voted every week thank you so much for the love and chance to do what I love to do most.. ENTERTAIN!! “All you strictly pros.. you are all ridiculously talented and I’ve loved watching and learning from you all. Merrygold, whose partner Sarah Richards is expecting their baby, continued: “Guys life is great I’m gutted obviously but… I’m not sad that it’s over, I’m happy that it got to happen!